The brasserie at the Lausanne Palace, with13/20 points in the Gault Millau, combines Parisian tradition and the quality of one of the most luxurious hotels in the city. Many famous guests have eaten at these tables, enjoying timeless dishes such as beef tartare, fish soup and beautiful cuts of meat. 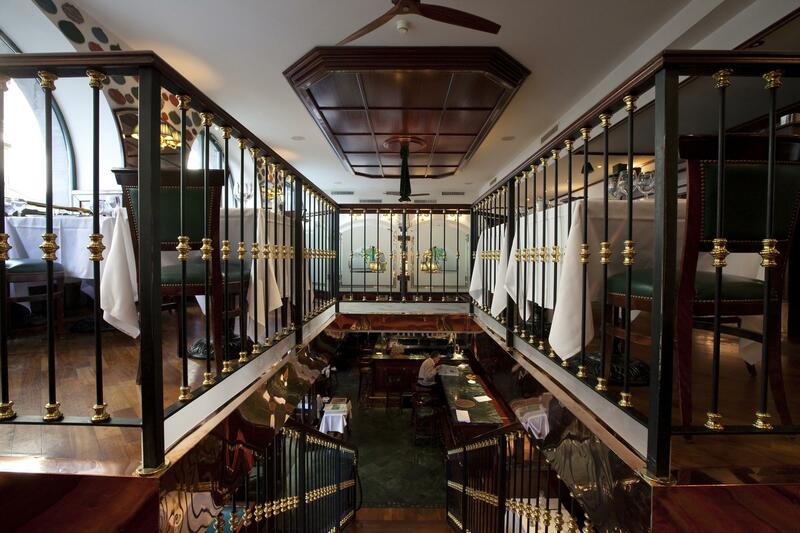 Green leather bench seating, polished parquet floor, copper decoration and a solid wood staircase give the Brasserie du Grand Chêne an atmosphere appreciated by the greatest of the stars. Names familiar to everyone are engraved on copper plaques, proving that this restaurant with its 13 GaultMillau points attracts the famous guests of the Lausanne Palace. Gourmets are delighted by the traditional recipes they find here: onion soup, snails from Burgundy, beef entrecôte, sauerkraut, pot-au-feu, Zurich-style minced veal, and seafood platter when in season. The Brasserie du Grand Chêne focuses on trusted, comforting values for discerning palates. The friendly, efficient service and the mirrors decorating the bar are extra touches that transport us into the ambience of the best Parisian brasseries.